Our 19 grass courts are available for you to play on between October and July. In the winter months, both hard courts and synthetic grass courts are available to use. 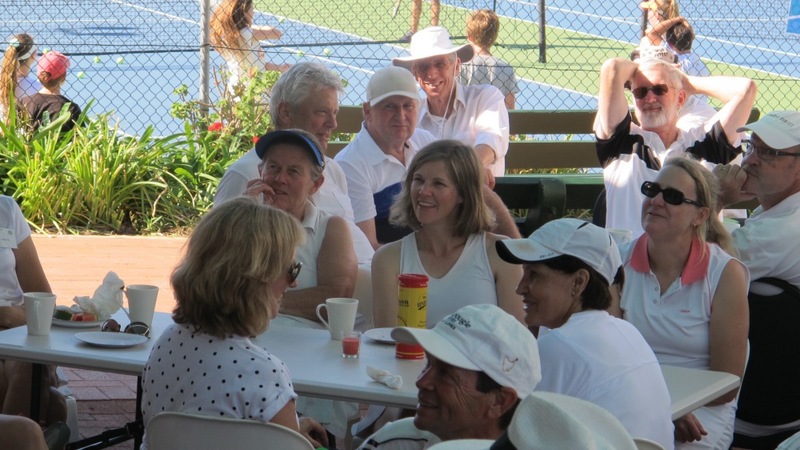 We have several opportunities to play social tennis during the week for players of all abilities. 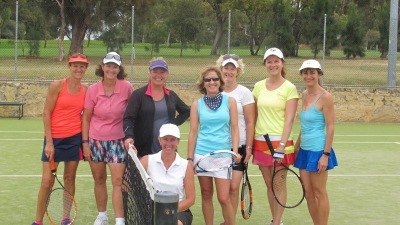 Our organised social tennis on Saturday afternoons, is great for players who want to either play the whole afternoon, or just drop in to play a quick set or two. Play starts at 2pm and you can enjoy a brief interlude for a chance to sit and chat over afternoon tea. Play finishes around 5.30pm, when you have the chance to have a drink at the bar. NSL is a 7 weeks social competition held on Tuesday mornings during school term time. Teams of 3 play both doubles and singles, each to the best of 11 games. Warm-up is from 9am, with play starting at 9.30am. By 12 noon we are generally in a local cafe having coffee laughing about our silly shots! 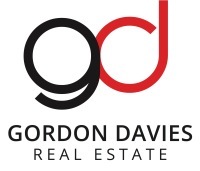 Members and non-members are always welcome to sign up for the term. You can play on either Wednesday or Thursday mornings from around 9am. This is self-run play, with ladies of all abilities playing. Again, you can stay for the whole morning or just for a couple of sets. It's completely up to you. 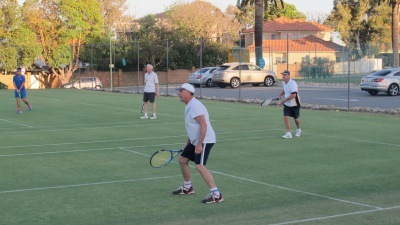 Men's mid-week social tennis takes place on Thursday afternoons from 4.30pm until sundown. This is a popular weekly social event for anyone who has the flexibility to play at this time or who is looking to make the most of the longer summer days. You will play on grass courts in summer and synthetic grass in winter.